The Harmony of the Seas will sit higher and wider than its sister mega ships, the Oasis of the Seas and Allure of the Seas, which are currently the biggest passenger cruise ships in the world, and will accommodate 100 more passengers, bringing its total passenger capacity to 6,000 plus crew. In just a few months the world will have a new largest cruise ship in history: Royal Caribbean Harmony of the Seas. RCCL's new 227,000-ton vessel is due to set sail from Southampton, England, on May 22. The STX shipyard in Saint-Nazaire, France, constructed the Harmony of the Seas and is in the process of finalizing it. Considering booking a cruise on the Harmony? I hope you are the type of vacationer who enjoys large crowds and lots of attractions and commotion in favor of a quiet, understated cruise experience. 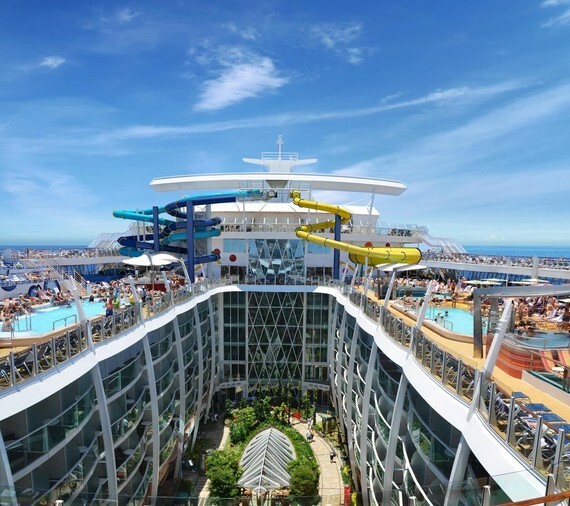 As an experienced maritime attorney, I feel that the addition of a new mega ship to Royal Caribbean's fleet, doesn't necessarily mean its safety has been increased. Think of the Harmony as a floating mega resort -- much like what might surround you at a theme park in Orlando or on the Vegas Strip. The Harmony will combine many of the latest gadgets and gimmicks found on other RCCL mega ships, like robotic bartenders, which prepare and serve drinks with actual bionic arms, a two-story waterslide, and virtual windows in windowless cabins -- real-time video monitors depicting the views passengers would actually be seeing outside the ship if the staterooms had real windows. The Harmony will also be the widest ship ever made, three meters wider than the Oasis and Allure, resulting in larger cabins, which is good news for passengers. For those who book a suite, special VIP areas of the ship will include an exclusive lounge, a sun deck, and a restaurant called the Coastal Kitchen. The Harmony's home port will be Port Everglades, in Fort Lauderdale, Florida, less than than hour from the Port of Miami and RCCL's corporate headquarters. We wish RCCL the best of luck and congratulations on the Harmony.